Just added this film to the CFA. It stars Jack Hawkins and gets really good feedback from IMDB and Amazon. 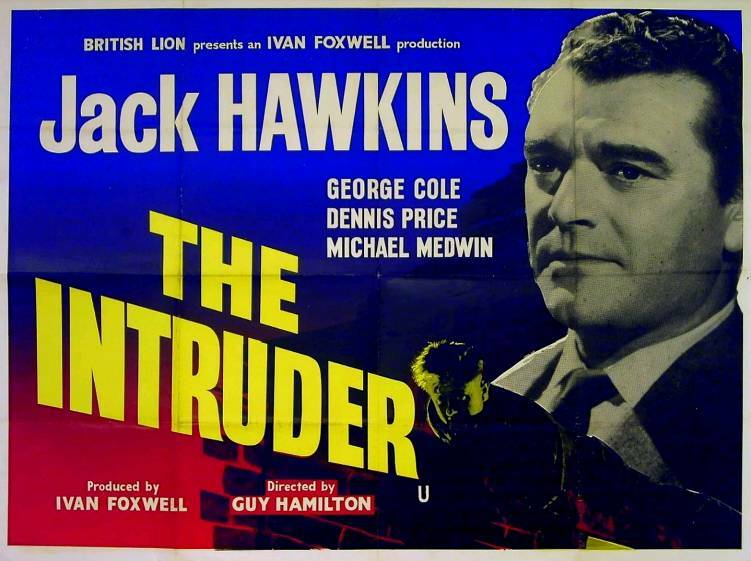 "An excellent early feature from future Bond director Guy Hamilton, this engaging, emphatically human drama boasts outstanding performances from Jack Hawkins, as a distinguished former officer, and Michael Medwin, as the wartime hero he endeavours to save from a life of crime. 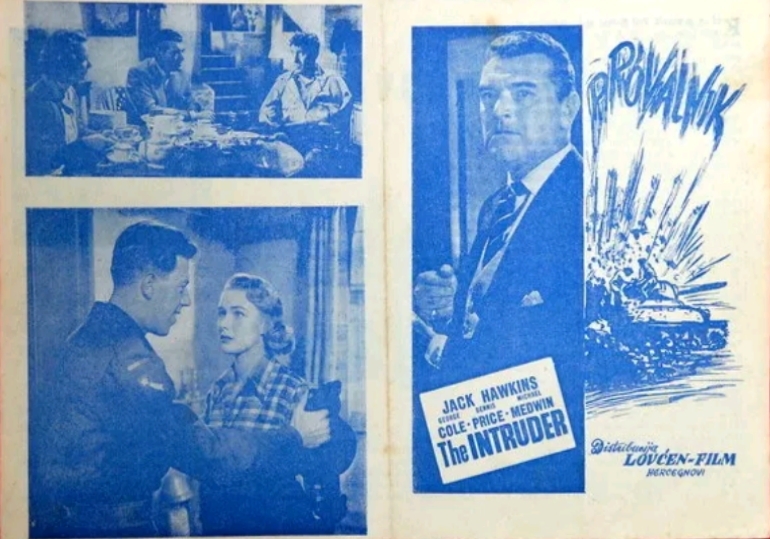 Featuring strong support from Dennis Price, and George Cole, The Intruder is presented here in a brand-new transfer from the original film elements in its as-exhibited theatrical aspect ratio. Wolf Merton (Jack Hawkins), a London stockbroker with a fine war record as colonel of a tank regiment, has since lost touch with all the men who served under his wartime command. 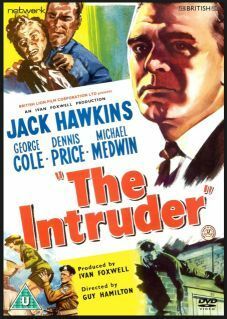 One evening he returns to his Belgravia home to find that there is an intruder in the house a young armed thug called Ginger Edwards (Michael Medwin), who he remembers well as one of the most fearless and spirited troopers under his leadership. But why has Ginger taken up housebreaking? And will Merton be able to help him to return to a more honourable way of life?" What did you think of it mias? Haven't had time to watch it Baz. Will make a withdrawal from the CFA for you this week. I watched this after 'Strong Room' yesterday. I really enjoyed it but the suspense is nowhere near as cranked up in this one. 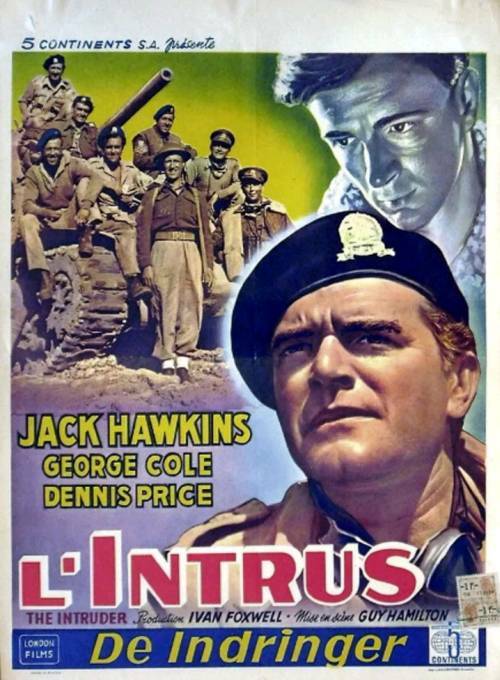 The story is mainly told by flashbacks to the War as Jack Hawkins visits all the surviving members of his platoon after they have returned to civvy street. One by one he checks them out for links with Michael Medwin's character and he eventually pieces together why he has turned to crime. The pq is generally very good and would have looked good on a BD. The acting is pretty much top notch throughout. Hawkins is always a safe pair of hands as a lead actor. Quite a bit of location footage in a bomb scarred post war London and some nice countryside shots (supposedly Dorset, probably Herts!). George has a reasonable size role in this, he looks so young! During the battle scenes GC gives it his all and looks like he only just missed getting hurt during one explosion close to him. As per usual, GC gives his usual dependable performance. The ending is a bit soppy and the film could have done with a bit more action although the War scenes are very well handled. Nice little review there mias. I just watched this one and I agree with mias - overall this is a pretty good film. PROS: as mias says, the acting is top dollar in this one. 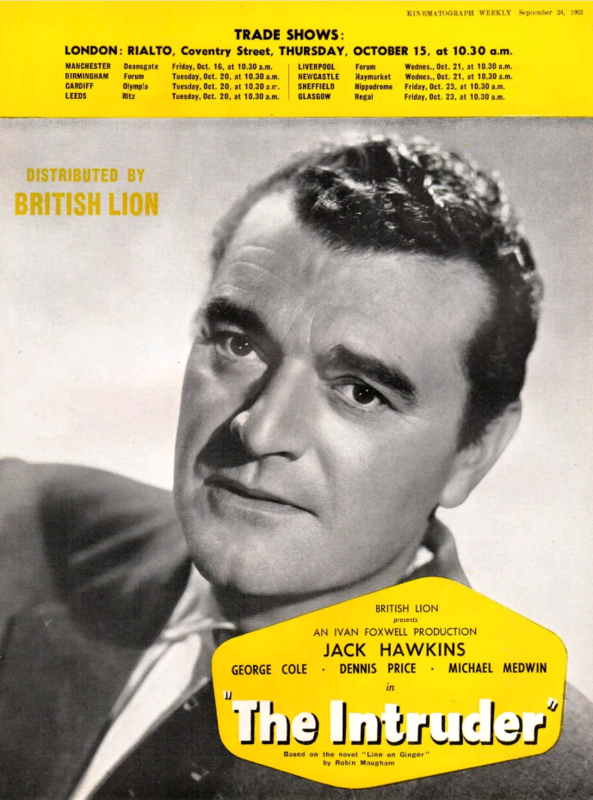 Jack Hawkins as Wolf Merton and Michael Medwin as 'Ginger' are on top form in this. GC's role is quite a significant one, albeit towards the start to middle only, but the real star of this one is Michael 'Don Satchley' Medwin for me. It's hard to believe that when Medwin was filming this, his 'Shoestring' co-star Trevor Eve was only 2 years old! Medwin is on top form and this is a real insight into post war Britain with kids playing on the streets, language and lots of old motors. Love it. The script is half decent but only really survives by referring back to war time through the use of flashbacks. There is a little bit of humour in this in parts too in the form of a tank (I won't spoil it by putting too much detail in here) but this helps the story along nicely too. CONS: The only thing that lets this one down for me are too many extended flashbacks - switching between THEN (war time) and NOW (post war time). I just feel these go on a little bit too long but are of course quite important for the 'now' element of the story. That said, there is also a lot of padding in the flashbacks, with some detail that doesn't necessarily get completely resolved in the present, which is shame. As I was watching Hawkins' leadership of the troops during war time I had to question some of the decisions he made in regard to 'sending in the troops'. 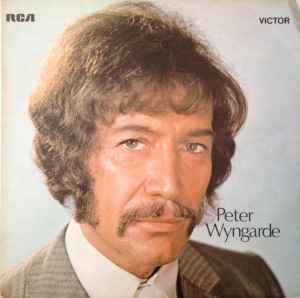 Despite what I think were some pretty questionable decisions, back in the present he is a very much loved 'war hero' which establishes him as an upstanding, well respected London stockbroker, looking to help out one of his old team. I quite liked the ending myself, which as I was watching supposed was a possible outcome - meaning there is a small element of predictability here. It was rather sudden though. 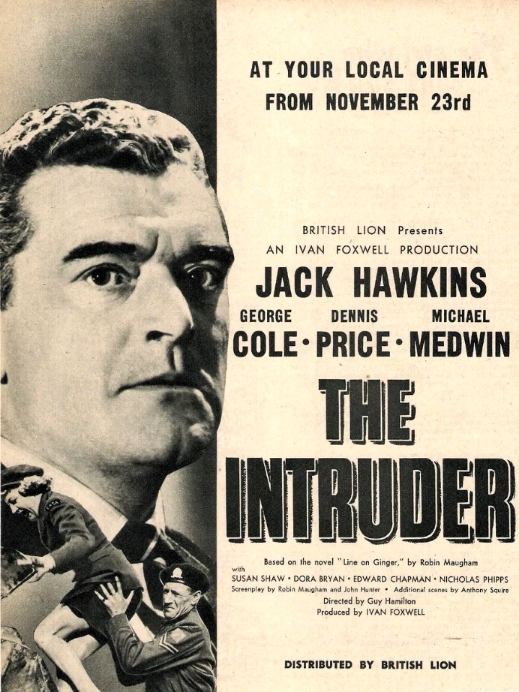 That said, apart from the extended flashbacks I thoroughly enjoyed this one and Jack Hawkins Michael Medwin are totally on form throughout. 7/10 Good stuff, though the flashbacks are just a tad too frequent and a bit too long in parts. Saved this off Talking Pictures and only just got round to watching it. I had no recollection of ever seeing or even hearing of it, I hadn't seen this thread. However, having now seen the film, I have an idea that I might have seen it as a kid on TV. I thought it an excellent film, all the participants are first class including George Cole and Michael Medwin, and all the others who feature as part of the tank crew. Right from the start with the opening shot of the abandoned tanks in the scrap yard I knew it was going to be good. Jack Hawkins is playing golf and slices his shot into the tank grave yard where it is picked up by Michael Ripper. I thought the flash back formula worked very well in this film, the story is literally told through flash backs which recount all the twists and turns of 'Ginger's' career both through the war and from his release back on to civvy street, the action sequences included in these were done quite well. There are a lot of fascinating location shots including Covent Garden and other places around London. I was very surprised to come across this film but would recommend it very strongly to everyone. Same as Gustav, I've only now watched this after recording off TP. Enjoyed it all the way through. Lovely to see Convent Garden Market in it's heyday. It was also good to see the 'bad guy' being supported rather then vilified after his wrongdoings, would have been unusual in this era I would think. Movie programme cover from Yugoslavia. 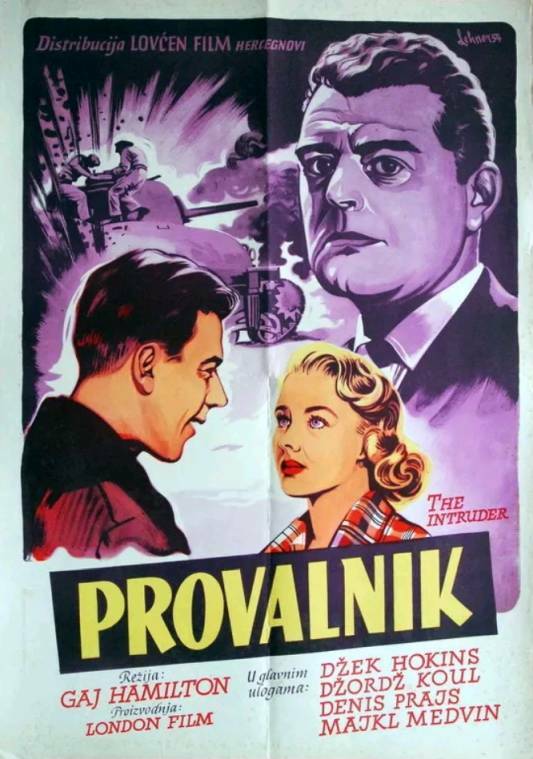 Yugoslavia poster, spot Michael Medwin's alternative name.